A team comprised of CDFA staff and technical assistance partners will conduct site visits to a limited number of communities each year. During each visit, the Project Response Team will meet with stakeholders, tour the redevelopment site, and provide financing recommendations. Upon completion of the Project Response Team visit, each community receives a report summarizing actionable next steps for financing the project redevelopment. Scroll down for a list of previous Project Response Team communities. Arnaudville, Louisiana is a small town bisected by St. Landry & St. Martin Parishes near Lafayette. The town sits deep in French Louisiana and has a rich Cajun and Creole cultural history. As such, Arnuadville over the past ten years has also been an active voice in creative place-making initiatives and cultural preservation in this region with the help and direction of the NUNU Arts and Culture Collective. NUNU has hosted numerous cultural and French programs over the years and now they and the community seek to develop a permanent space for these programs. A small vacant hospital in town has presented the perfect opportunity to develop this new space and so community members and project partners have come together to develop St. Luc’s Cultural Immersion Center. Casper is the second largest city in Wyoming after Cheyenne. Situated in Natrona County, it has the distinct advantage of being located in the center of this rural state and provides for a central meeting place for statewide events. Casper is also located on a main route to Yellowstone National Park and often has frequent pass-through visitors who take advantage of its ski resort on Mount Casper and its scenic waterways on the North Platte River. The city no longer has a large hotel and conference space that can accommodate large events or groups of people. In their push to provide more spaces for tourists and large statewide events, the City of Casper is examining two sites to potentially build a space like this. Greenfield Ohio is a village situated in between Highland and Ross counties with a population of 4,500 in the southeast corner of the state. The Village of Greenfield has two pathways forward in their community development goals: the South Central Ohio Industrial Park and the downtown area. The South Central Ohio Industrial Park is 180 acres and partially developed to accommodate a number of businesses. The Village hopes to provide infrastructure to encourage more development of the industrial park. The Village of Greenfields downtown is filled with historic structures in need of redevelopment. 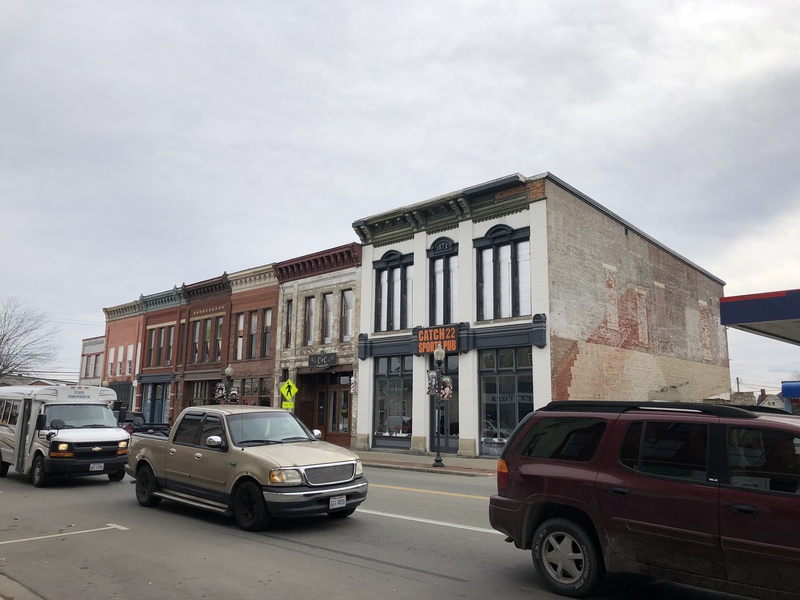 The community hopes to engage new and creative revitalization efforts to redevelop their downtown and re-center it as the economic heart of the village. What is now known as the Pajama Factory is a 300,000 square foot, eight-building complex originally built in phases between 1883 and 1919 for use by the Lycoming Rubber Company. As a subsidiary of the U.S. Rubber Company, it was one of the largest manufactures of rubber goods in the U.S. at the time. Later, the Weldon Pajama Company took over the space and soon became one of the largest pajama factories in the world. Until 1979, various companies utilized the space including pajama, underwear, and shoe manufactures. Today, a developer is diligently working to convert this spacious historical structure into a diverse and creative complex featuring artist residences and studios, retail opportunities, event space, and possible makerspace operated by a non-profit. Willamette Falls is second largest waterfall by volume in North America. Since the 1830s, Industrial development has blocked the Falls from public access. The Blue Heron Paper Company was the most recent in a succession of various industries that nested itself on the east bank of the Willamette River at Willamette Falls. The closure of the paper mill in February of 2011 provided the opportunity to bring public access to the Falls for the first time in more than 150 years. The City of Oregon City, Clackamas County, Metro and the State of Oregon have partnered to carry out a vision for the 22-acre site and reduce and remove barriers to redevelopment. 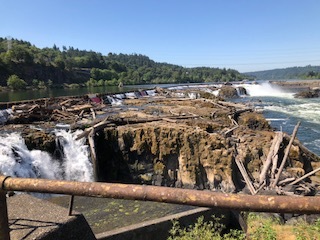 A key feature of the vision for the project site is the creation of a world-class riverwalk to allow for public access and viewing of Willamette Falls. Widely accepted as the oldest town in the state, St. Mary’s founding dates back to 1787. 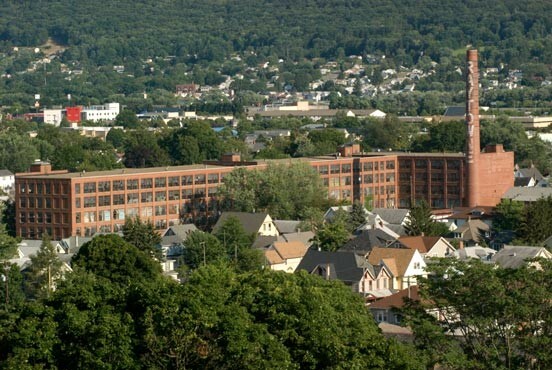 The Gilman Paper Mill was built in St. Mary's in 1940 and grew to encompass 719 acres along the North River. Since closing almost two decades ago, the property has been vacant. 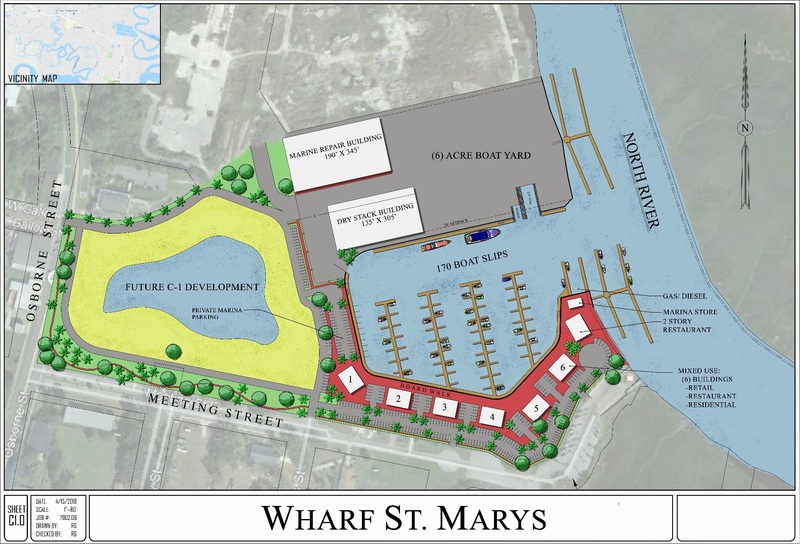 Camden County Joint Development Authority is now working in partnership with a developer to convert 52 acres of the former Gilman Paper Mill site into a mixed-use wharf, which includes, dry dock storage, a boatyard, docking facilities, boat repair facilities, and a commercial and residential component. The "Lot D" property is an approximate 12-acre man-made parcel located along Duluth's harbor at the terminus of the St. Louis River estuary and the entrance of Lake Superior. 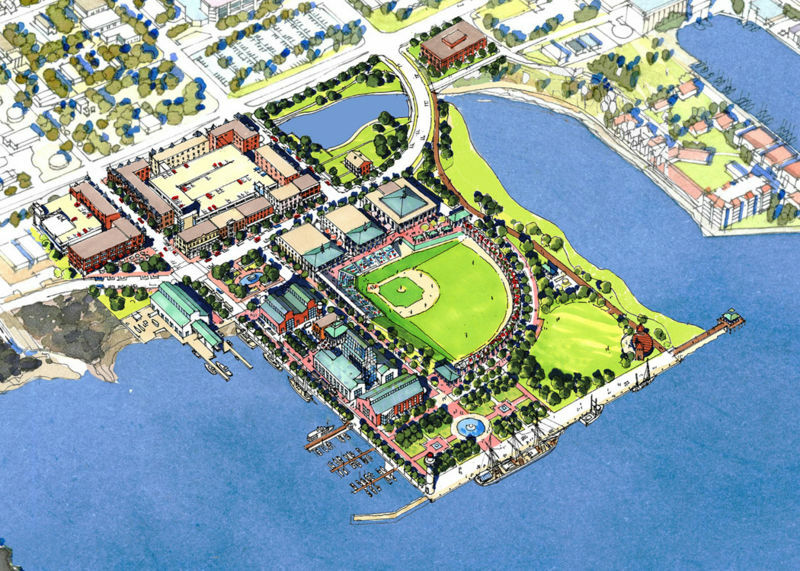 The property is the last mixed-use zoned waterfront parcel to be developed along the downtown waterfront, which then transitions to industrial zoning and operations. A developer has been identified and a planed mixed use development consisting of 250 high end housing units, retail and Class A Office Space. The development will also include public parking and trails that connect with the existing Duluth Waterfront. West Florissant Avenue became known worldwide as “Ground Zero” for the Ferguson movement, after the police-shooting death of Michael Brown Jr. in August 2014. The Former AutoZone is one of eight buildings that were burnt down during the period of civil unrest in the Dellwood/Ferguson area. Today, businesses along the corridor still struggle with the economic effects of property damage, negative media attention, and reduced visitors. St. Louis Economic Development Partnership is leading efforts to redevelop West Florrisant Avenue into a community-serving corridor with senior housing, a food incubator building, community garden plots, along with open park space for residents. The Saint Rest Baptist Church (St. Rest) property is a 3.5-acre site located in the southwest region of the City of Fresno. For years, the church leaders and congregation have discussed the build out of a church campus that would accommodate the fast-growing congregation. Among desired amenities are green space, recreational facilities for youth, and housing for seniors within the community. 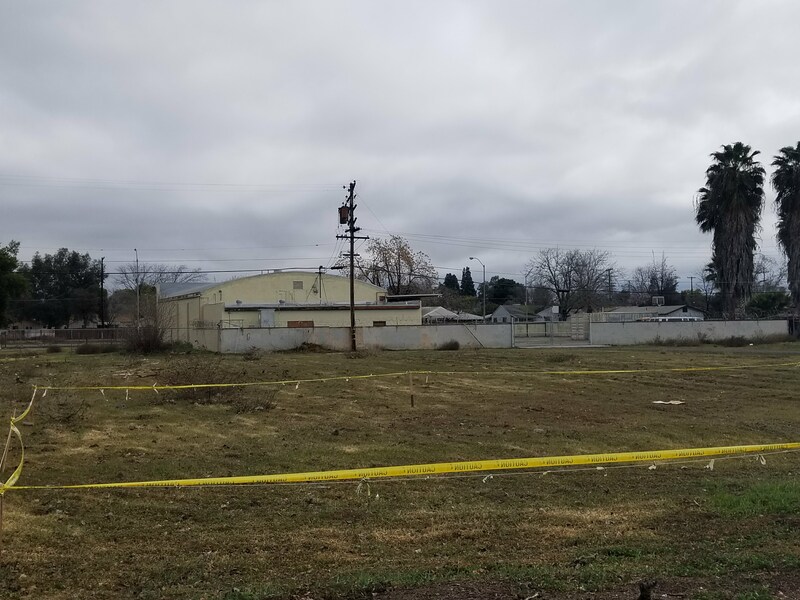 The St. Rest property is the northern entrance to the Elm Avenue Corridor, a 2.25-mile long corridor connecting several economically disadvantaged southwest Fresno neighborhoods along a stretch of many vacant and potentially contaminated lots. 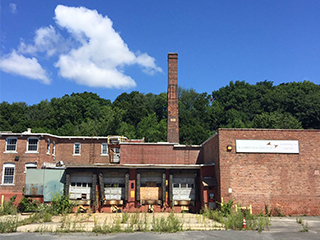 A legacy of automobile industry and related uses has left behind several vacant and blighted properties along the corridor. 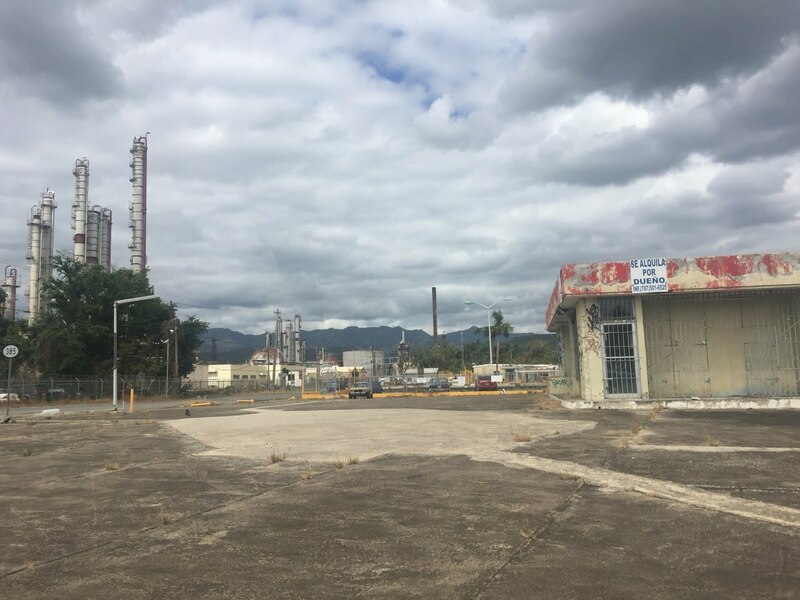 Puerto Rico’s 127 Corridor was once filled with oil refining companies and large petrochemical complexes. In the 1980s, as oil prices soared, industries collapsed. Before long, the region was filled with abandoned industrial sites and disinvestment was widespread. What remains today is an expansive area of deficient infrastructure and contaminated land, dotted by a handful of operational sites primarily being used for energy production or fuel distribution. Through the help of a U.S. EPA Area Wide Planning grant, the community has created a reuse plan for the Corridor that calls for an Eco-Industrial Zone, complete with utility-scale photovoltaic energy, resource recovery, a biofuel innovation hub, and a renewable energy powered industrial park. The Community Maritime Park sits on a 32-acre peninsula in downtown Pensacola, overlooking the Pensacola Bay. Today, the park includes plentiful greenspace, a public promenade, a playground, amphitheater, office buildings, and an award-winning Double-A ballpark completed in 2012. With the park completed, the City would like to maximize the use of the peninsula’s nearshore areas by remediating and developing an underwater Brownfield site, with plans to build out a Marina all the while providing boat access to and from the park for both small and large vessels. Established in 1910, the Owens-Illinois Glass Factory housed six glass furnaces and six bottle machines. When operating at peak production, the factory produced over 180,000 glass bottles daily and employed over 1,000 people Merit Development, of Fairmont, WV, is redeveloping the former Owens-Illinois Glass Factory site into a business park. With cleanup complete, Merit is ready to undertake several other development challenges on the site including FEMA floodplain compliance and relocation of a sanitation line. The future Speedway Business Park will add approximately 180,000 square feet of new commercial space to the market. The City of Sheridan, CO is working with property owners in the South Santa Fe Business Park to modernize infrastructure in a 206-acre industrial area where no common water or sewer infrastructure has ever been installed. The plan is to preserve the industrial nature of the park while installing new sewer, water, and roads to serve existing businesses and increase the appeal of the location for potential buyers. CDFA travelled to Sheridan to provide technical assistance for the project and the recommendations are summarized in the latest Roadmap to Redevelopment Report. The Steelworks Center of the West (Steelworks) is a non-profit organization focused on preserving the history of the coal and steel industry west of the Mississippi River. 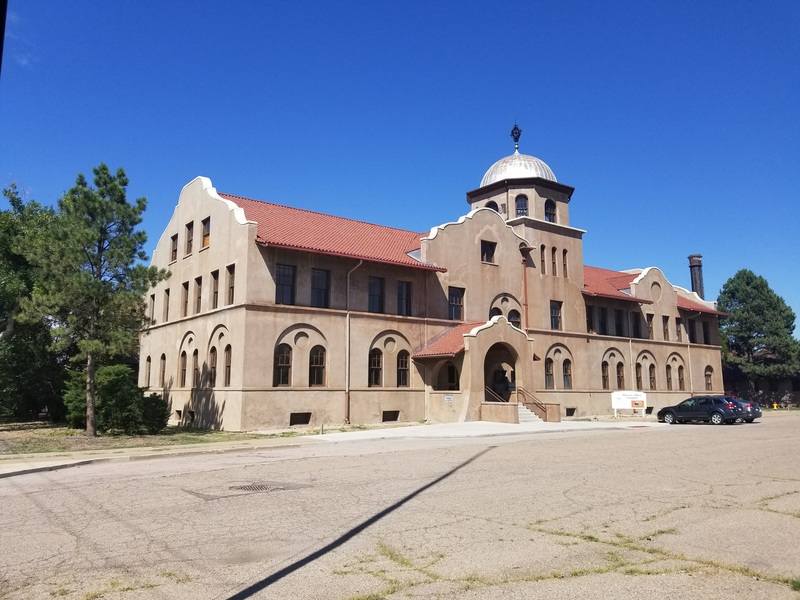 Steelworks is planning the rehabilitation of the former Colorado Fuel and Iron Company office building. The space will serve as an expanded museum for exhibitions memorializing the history of the coal and steel industries in the West. In the latest Roadmap to Redevelopment report, CDFA provides financing recommendations for the project. 1894 City Market, formerly known as the Ritchie Grocery building, is a three-story brick and masonry historic commercial building located at Front and Olive Streets in Texarkana, Arkansas. It was built in 1894 by Francis Mullins, owner of the Texas Produce Company. The new 1894 City Market will add residential, commercial, and arts space to an underutilized corridor in downtown Texarkana. In addition to offering financing recommendations for the project, this report also provides the City of Texarkana, AR with strategies to support additional downtown redevelopment. 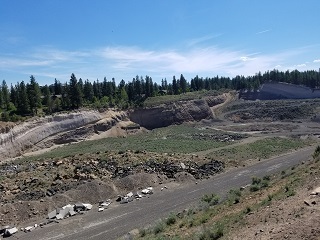 Oregon State University- Cascades is taking on the reclamation and redevelopment of a 72-acre demolition landfill and 46-acre former pumice mine to expand their campus and create an Innovation District. In the latest Roadmap to Redevelopment report, CDFA provides financing recommendations for the project, which is expected to be phased over a 10-year period. The Redstone Development Group has proposed a 100K square foot mixed-use commercial building just south of downtown Burlington, VT at 453 & 501 Pine Street. 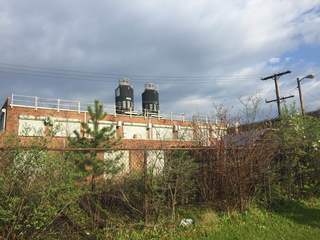 The neighboring vacant lots are adjacent to a former coal gasification plant, now known as the Pine Street Barge Canal Superfund Site. Vertical Innovations is an urban farming startup that has plans to adaptively reuse abandoned grain silos for vertical farming purposes. 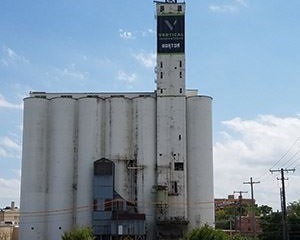 Leasing the silos from Missouri State University in Downtown Springfield, Vertical Innovations plans to transform these blighted structures that have sat unused since 2000. After completion of the pilot phase Vertical Innovations plans to produce 3000 pounds of lettuce daily. Viet Village is a diverse community made up of predominately Vietnamese-American residents, much effort has been made post hurricane Katrina to rebuild and expand their community. 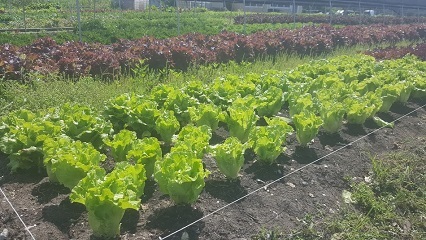 After acquiring a vacant lot of 6.5 acres Viet Village's plans for the site include expansion of an urban farm, multi-use commercial space, and affordable senior housing. Prior to hurricane Katrina, the land housed a small resort style hotel, and before that, a gas station. The Eagle Mill sits on 9 acres with a historic building occupying just over 100,000 square feet. Redevelopment plans include a boutique hotel (50,000 square feet) that would be located in a portion of the historic building that will be preserved, office/retail (50,000 square feet) to be located in a new building following demolition of a portion of the existing structure, and a separate building with approximately 60 units of housing, 80% of which will be affordable units. The former Metaldyne-Lester Precision Die Casting facility sits on a 4.3 acre property just east of the I-271 exit to Bedford Heights, and to the south end of the city’s major industrial areas. The building was constructed in several phases during the 1950s-1970s. Metaldyne produced automotive parts for cars and utilized a cooling system that contained polychlorinated biphynels, or PCBs. 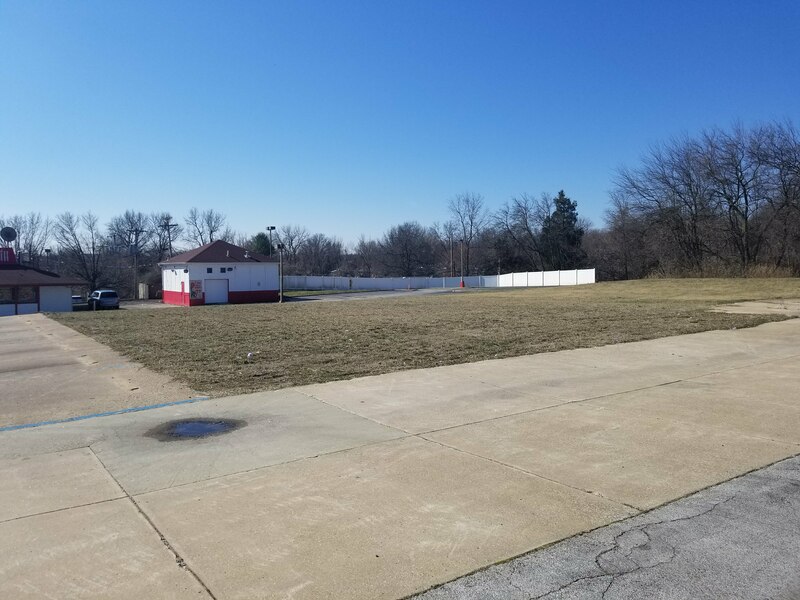 Our Project Response Team traveled to Bedford Heights to work with city officials to investigate financial opportunities to redevelop the site. Below is a set of written recommendations based on their findings. At the corner of 74th and Ashland Avenue in Englewood, Illinois sits several single story manufacturing buildings, previously owned and operated by Blackhawk Steel Corporation. The buildings date back to the 1930’s when they were used for metal manufacturing and the assembly of construction cranes. Our Project Response Team traveled to Englewood to work with Motivation Property Management to investigate financial opportunities to redevelop the site into a railway training facility. Below is a set of written recommendations based on their findings. Trent Court is one of two public housing sites that sit in the Greater Five Points Area, a collection of neighborhoods clustered around the commercial area where Broad, Queen and Pollock Streets converge. Considered the “gateway” to downtown, Greater Five Points is located directly west of New Bern’s historic core. The area has experienced severe disinvestment, vacancy and blight since the 1950’s. Our Project Response Team traveled to New Bern, North Carolina to work with city officials and local stakeholders to investigate financial opportunities to redevelop the Greater Five Points area. Below is a set of written recommendations based on their findings. The Granary site includes two buildings, one of which is a 17,000 square foot, three story building that was constructed in 1912 and originally used to store and distribute grain for Schlitz Brewing. The other building is a 3,000 square foot, one story building from the same era, which was at one time used as a laboratory to test for bacteria in the turkey processing operations. 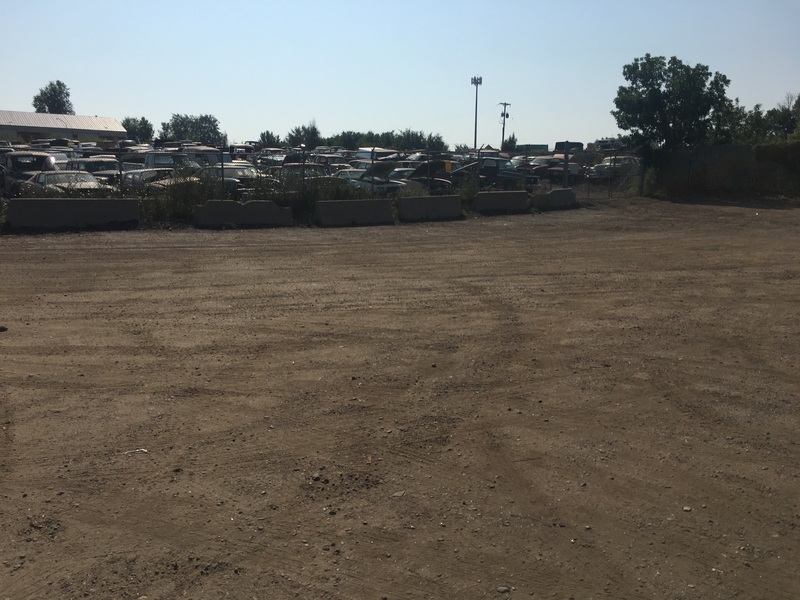 Our Project Response Team traveled to Longmont, Colorado to work with city officials and local stakeholders to investigate financial opportunities to redevelop the Granary site. Below is a set of written recommendations based on their findings. The Dimmick Campus is made up of 6.3 acres of county-owned property located in a residential area in the City of Grants Pass, Oregon. Since 1919, the Campus has had a history of medical and institutional uses. There are several existing buildings, parking areas, and parcels located on the Campus. Our Project Response Team traveled to Josephine County, Oregon to work with city officials and local stakeholders to investigate financial opportunities to redevelop the Dimmick Campus. Below is a set of written recommendations based on their findings. Kalispell’s Core Area Plan calls for the relocation of the rail tracks that run through the center of Kalispell and redevelopment of the surrounding land, which includes 44 acres of dispersed, vacant, blighted, and brownfield property. 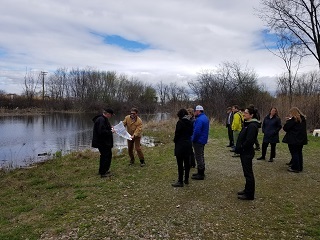 Our Project Response Team traveled to Kalispell, Montana to work with city officials and local stakeholders to investigate financial opportunities to redevelop the Kalispell Core Area. Below is a set of written recommendations based on their findings. Built in 1911 and expanded extensively over the next 27 years, the Evans building was once the largest manufacturing facility in Tulsa.The Evans-Fintube site was originally part of a larger, 30-acre site that was acquired by Oklahoma Iron Works in 1911 and became home to the Bethlehem Supply Company in late 1938. 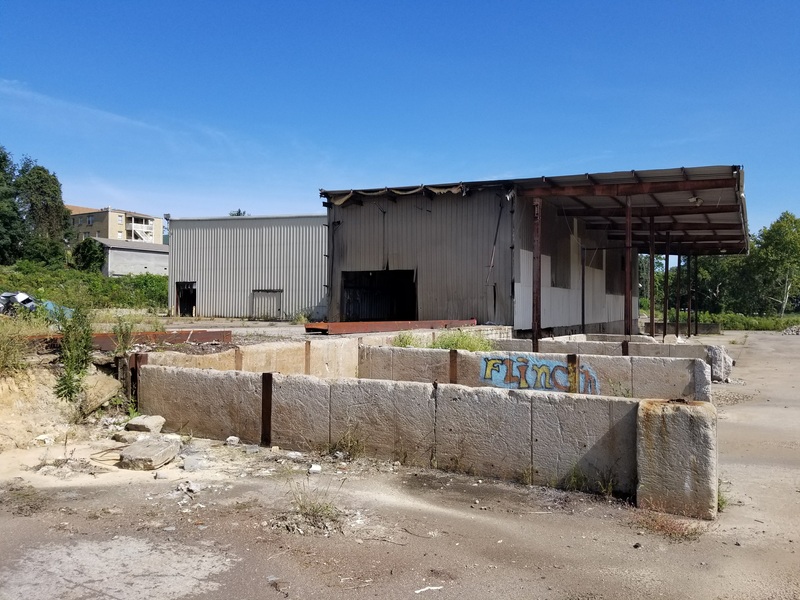 Our Project Response Team traveled to Tulsa, Oklahoma to work with city officials and local stakeholders to investigate financial opportunities to redevelop the Evans/Fintube site. Below is a set of written recommendations based on their findings. Built in 1925, the Grim Hotel located at 301 North Stateline Ave is a downtown landmark in Texarkana. 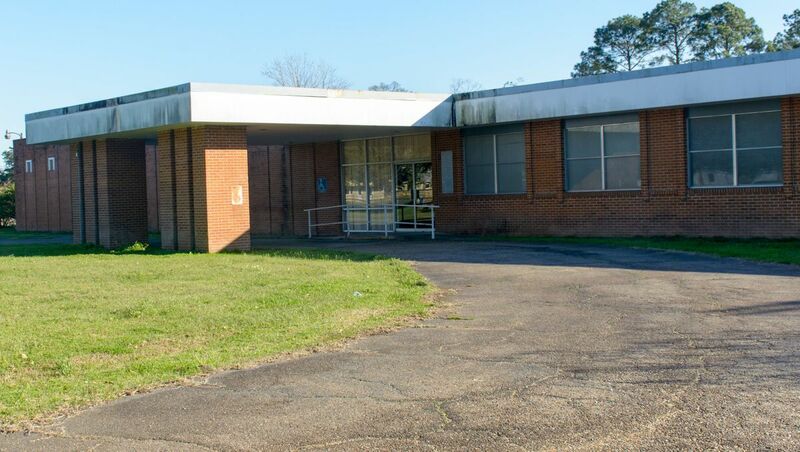 The building was designed by architects George Mann and Eugene Stern and named after William Rhodes Grim, a prominent businessman in Texarkana. 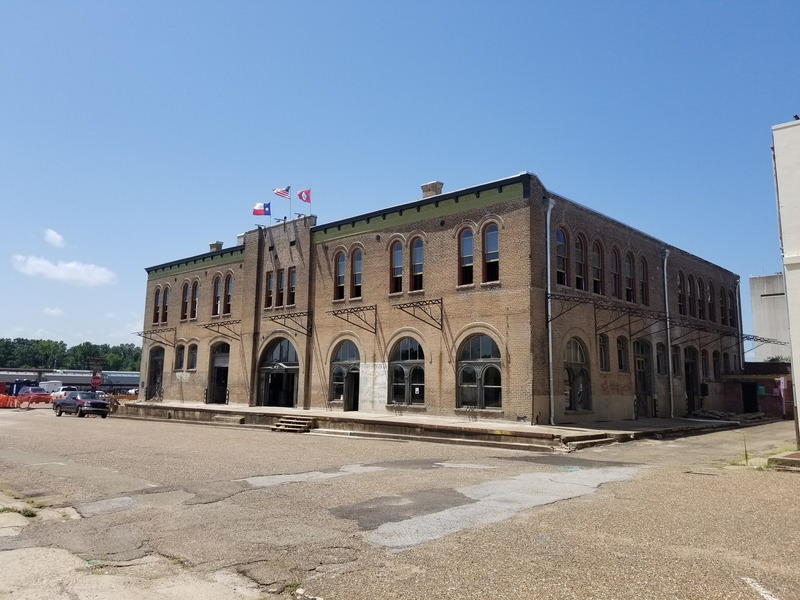 Our Project Response Team traveled to Texarkana, Texas to work with city officials and local stakeholders to investigate financial opportunities to redevelop the Grim Hotel site and place it back into productive use. Below is a set of written recommendations based on their findings.